Articulate 360 is a power packed rapid authoring tool that allows you to develop highly effective e-learning courses. 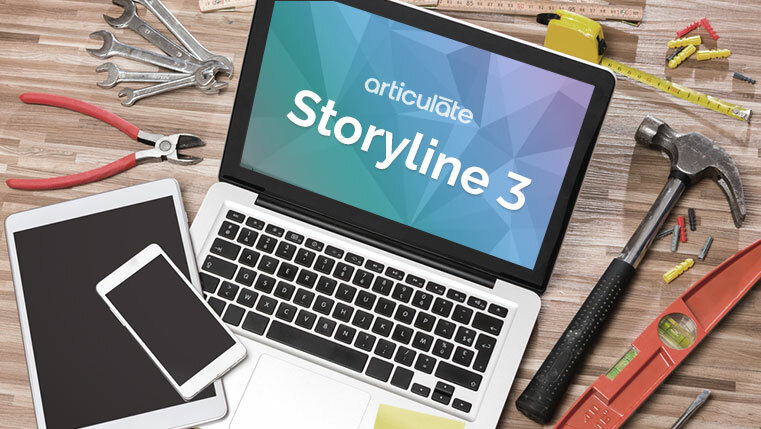 To update your existing web-based learning materials developed in Articulate Storyline 2, opt for Articulate 360. It enables you to create wonderful Flash-like animations and online learning interactions that get the complete attention of your learners. So, boost up the engagement levels of your learners, using Articulate 360. 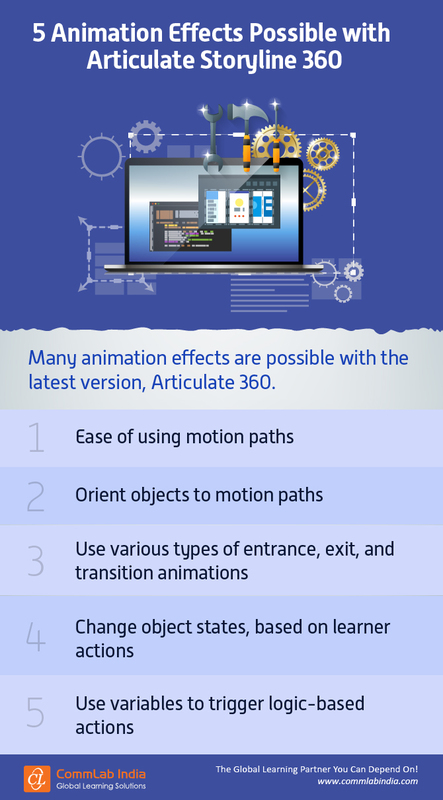 Check our infographic for the animation effects possible with Articulate Storyline 360.